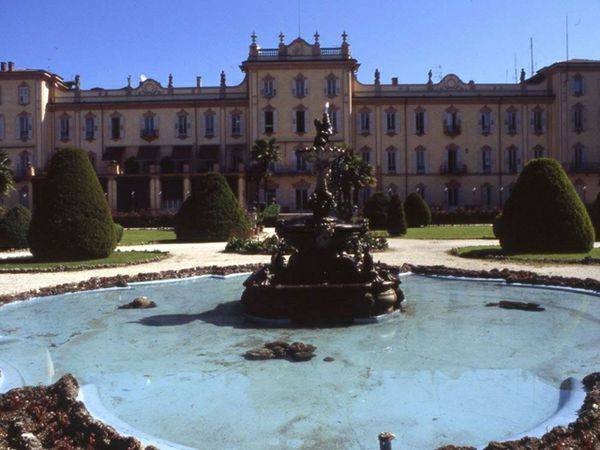 Villa Recalcati (located in Piazza della Libertà) is the most representational architecture in the district of Casbeno, and can be reached on foot from the Estensi gardens. 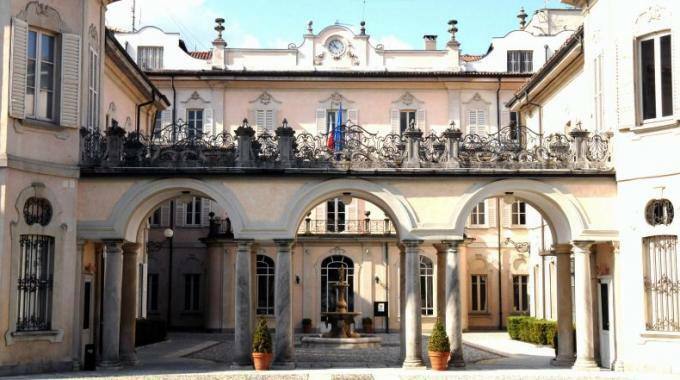 Today, the building is the seat of the Province of Varese and the prefecture. 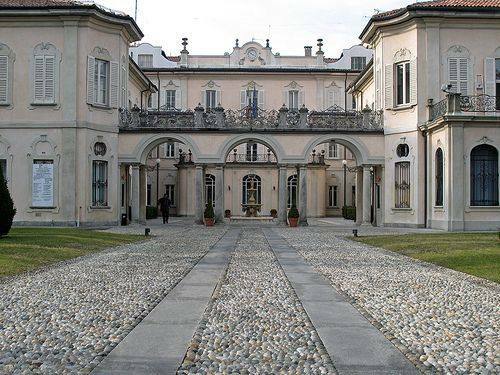 Villa Recalcati was built by Marquis Gabrio Recalcati in the first half of the 18th century, beside an earlier building from the 16th-17th centuries. He was the heir of an old family whose members were prominent men within Lombard civilian and religious life such as Francesco Recalcati, the secretary to Ludovico the Moor. Between 1756-1775, the structure was expanded and enriched with late baroque style on the wishes of Antonio Luigi Recalcati. 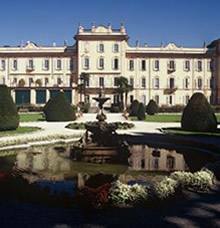 This was a place for worldly meetings where famous personalities and men of culture stayed, including poet Parini at the end of the 18th century and Giuseppe Verdi in 1842. 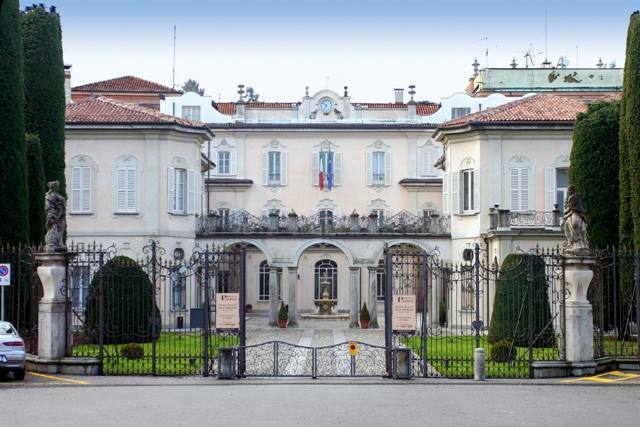 30 years later, the villa and park were purchased by Giacomo Limido, Gerolamo Garoni and Eugenio Maroni Biroldi whose significant modifications to the original configuration transformed the building into the great Albergo Varese (Grand Hotel Excelsior). 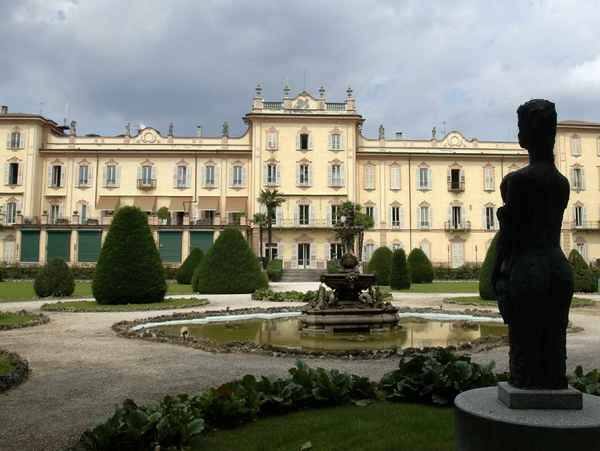 This was one of the first boosts to elitist tourism in Varese in the 19th century. It was one of the most well-known and aristocratic holiday resorts in Europe up until 1929. In 1927, Varese became a provincial county town. 4 years later, the Administration purchased the property and set up its offices there. The building is characterised by a U-shape, the same used at Palazzo Estense and Villa Mozzoni in Biumo. Access is provided by a perspective path separated from the outside by a gate with four statues. Villa Recalcati’s elegant Courtyard of Honour faces the piazza, enclosed by a low portico with three arches resting on twin columns. The other façade (seen from the garden) is embellished with statues and iron balconies; windows are bordered with stuccoes. The large park (open to the public) is by architect Enrico Combi, who was also responsible for the park at Villa Ponti in Biumo Superiore. The Romantic nature of the garden is influenced by French style, as is obvious by the parterres. Many exotic and native species populate the park, thus contributing to creating original, rather unique charm. Some 18th-century rooms inside the villa still have the ancient decorations. The ones on the ground floor are embellished with medallions painted by Antonio Magatti and probably G.B. Ronchelli, who however is certainly responsible for the scenes of the Old Testament frescoed in the hall on the first floor. There is a neoclassical room on the ground floor, which can be recognised for the fireplaces dominated by mirrors and white stuccoes. The adjacent room is characterised by golden stuccoes and a fresco depicting the goddess of Abundance. A large hall upstairs has a majestic marble fireplace dating back to 1631. Further up is a medallion depicting the scene of the return home of the Greeks after the destruction of Troy. This is one of the few pieces of the 17th-century layout: indeed the room is part of the previous building, which was later incorporated into the villa.